Twitch – a subsidiary of Amazon – has become synonymous with the boom in video game livestreaming. Tyler “Ninja” Blevins, the most popular “Fortnite” player in the world makes Twitch his virtual home, as do eSports heavyweights like the Overwatch League and Tencent. However, there’s a growing community of streamers on Twitch who don’t post gaming content at all: They broadcast their real lives, including their weekends spent painting landscapes, their amateur comedy, and their budding skills as musicians. Twitch has been making moves to embrace this kind of content, dubbed IRL streaming (internet slang for “in real life). IRL has become a catch-all term for any kind of streaming that isn’t gaming. But it’s led the site to become home to an expanding population of artists, comedians, podcasters, musicians, athletes, cooks and social media influencers, all looking to make a living through live-streaming – right alongside Twitch’s usual blend of “Fortnite” and other games. Today, Twitch has roughly 2.2 million unique monthly broadcasters competing for the attention of the site’s 15 million daily users. “People go to Twitch to be anyone they want to be, to go wherever they want to go,” said Twitch streamer thaButtress, who asked not to be identified by her real name in order to protect her privacy. She makes her living by building scale models of the giant robots from the “Gundam” anime franchise, broadcasting the process to her audience of about 19,000 followers. She says that as IRL streaming has expanded on Twitch, she and other streamers have really found their audience – even for relatively niche hobbies like model building. “The stream teaches me so much about the hobby that I love, and I teach them, too. It’s this great little community of builders that support each other and take care of each other. That’s definitely the best part: The community,” she said in an interview with Business Insider. Because Twitch was created with gamers in mind, it can be difficult for creatives like thaButtress to stand out against the many hundreds or thousands of video game streams going on at any given moment. Generally, Twitch is organised around the game that’s being played: When you first visit the site, you might click on “Fortnite” or “League of Legends,” and find a stream to watch from there. Those who aren’t playing a game, though, tend to be grouped into categories like “IRL” and “Creative” – categories that have been criticised as being too broad. For thaButtress, this means her stream is often found next to those of painters, musicians, and makeup gurus. In other words, you have to navigate around a lot of streams that have little to do with hers in order to find her model-building channel. Plus, non-gaming streamers sometimes get a bad rap among the Twitch community, says so-called “Twitchhiker” Trevor Daneliuk. Without a video game to serve as the figurative center of the stream, IRL streamers will often search for content in the real world. For many, this means going to interesting places, talking to people, and bringing hundreds of viewers along for the ride. The problem is that a lot of the earliest IRL streamers found themselves mired in controversy, as their antics got them attention for all the wrong reasons. For instance, Paul “Ice Poseidon” Denino, an early livestreaming superstar on Twitch, was once suspended from the platform for revealing a woman’s phone number on his stream, which led to his followers calling her en masse. Denino was later banned from Twitch after one of his viewers called in a bomb threat to an Arizona airport, right as he was boarding a plane. 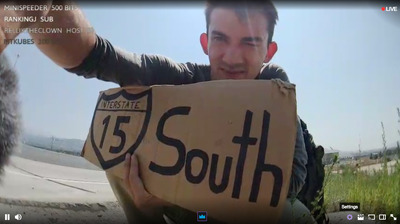 “IRL streamers have a bad reputation for the way that they get content,” said Trevor Daneliuk, a professional live-streaming hitchhiker (or “Twitchhiker”) who records his rides (with permission, he’s careful to note) as he travels the country. “People think it’s a toxic community, and that people walk around seeking content in irresponsible ways, at other people’s expense,” says Daneliuk. As Daneliuk and thaButtress demonstrate, the breadth of content available on the platform is only widening. Luckily, Twitch recently announced a new step to help accommodate this growing market. twitch.tv/MadeleineInkTwitch user MadeleineInk puts the finishing touches on her latest masterpiece as about 200 viewers watch. Check out the full list of new tags here. twitch.tv/bingingwithbabishBingingwithBabish is a popular ‘Food & Drink’ streamer on Twitch. He teaches his viewers how to cook a variety of dishes — like the Food Network, but live and with some audience interaction. 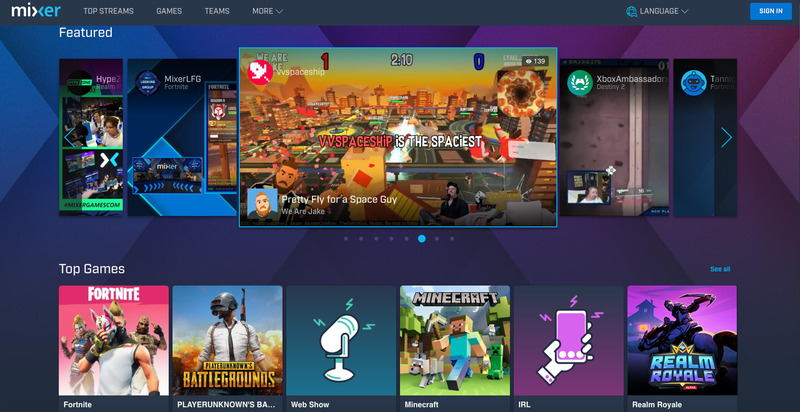 “We found that the categories became too general and lost their effectiveness in terms of helping viewers find the specific content they were looking form,” Tom Robertson, Senior Director of Product Management at Twitch, tells Business Insider. 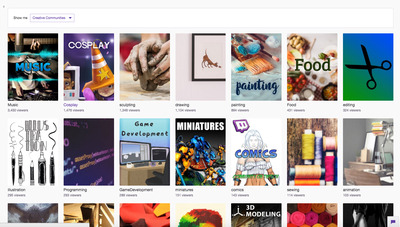 Twitch is hoping that these changes will facilitate user discovery of new streamers, which many say can be a massive challenge in such an overly crowded website. Diaz, who previously worked as a full-time game streamer, said the IRL and Creative categories can be uniquely challenging to navigate as a newcomer. “The IRL directory is buried under everything else. I understand why that might be a little discouraging. People have lots of talents in different ways, so it’s good to see they’re starting to be recognised,” he says. These creators are in search of the highest levels of Twitch fame — which often comes with the perk of a sizable payday. 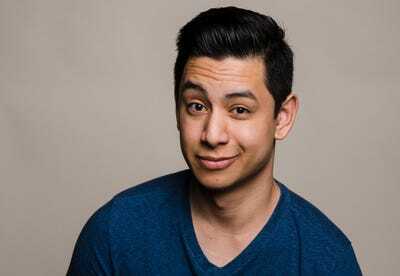 In the same way that many YouTube content creators have risen to fame and fortune through the power of the internet, a handful of live-stream Twitch celebrities have already emerged. 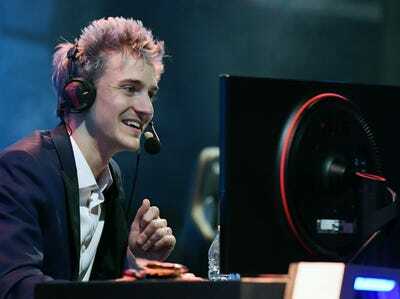 For example, Fortnite superstar Tyler “Ninja” Blevins was making about $US6 million a year through his Twitch subscriptions alone back in March, has since signed sponsorships and marketing deals with companies including Red Bull and Budweiser. 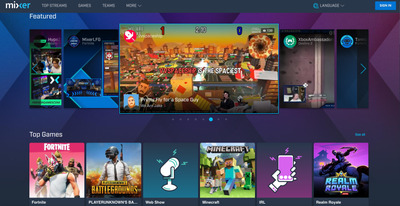 However, even with the infrastructure to support them in place, non-gaming streamers say that they can struggle to be taken seriously on Twitch, as the service continues to be known primarily as a place for gamers. “Gamers can just chill, we’re not taking viewers from anybody. I get that it’s different and that’s exciting, but the people who are going to watch games are always going to watch games. No one’s hurting you,” said thaButtress. 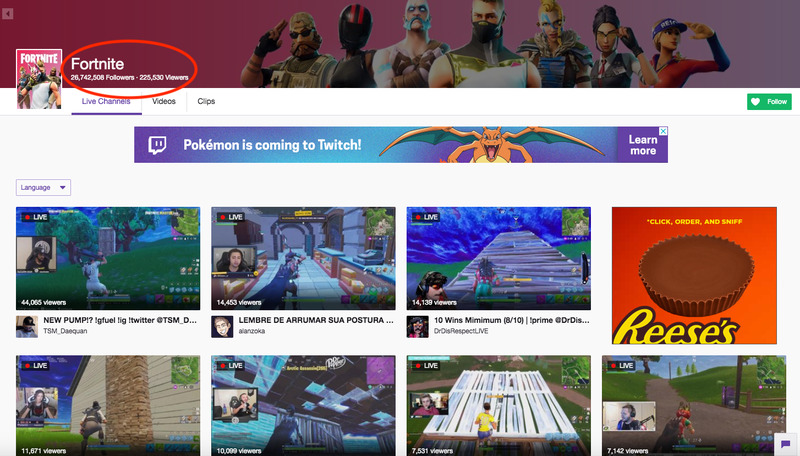 As Twitch’s viewership has continued to balloon in size, YouTube, Facebook and Instagram have all launched live-streaming platforms in the last three years, and several other copycat sites have cropped up, all trying to get a piece of the live-streaming pie. 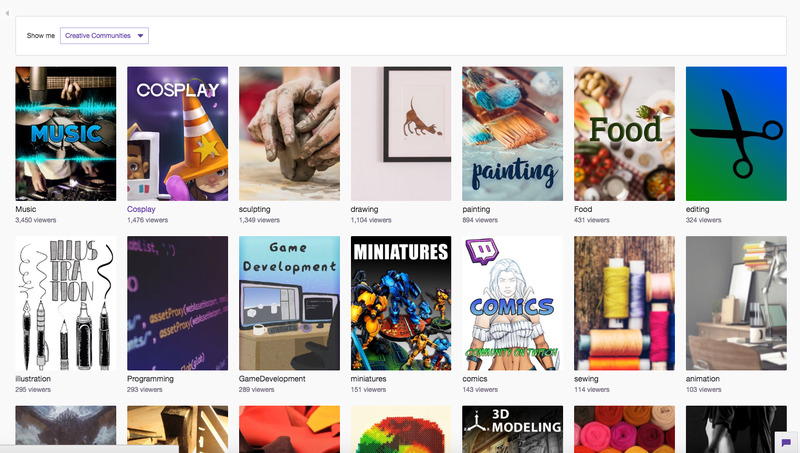 Screenshot / Business InserMixer is a popular Twitch-like streaming site, mostly dedicated to video games. Diaz says that these competitors offer an exciting opportunity for aspiring streamers, because they offer smaller, often more dedicated communities of viewers, just waiting to be tapped. “I see a lot of new people starting off on Mixer and Facebook, and they may have smaller audiences right now, but there’s much less chaos. They can be a great place to start out,” he said.